We have a complimentary beach service set up included for each day of rental in season from March-Oct by our professional beach service. Bed linens and towels are provided but you will need to bring your own beach towels. On balance, we enjoyed our stay in your property. A couple of suggestions: 1) Since you have a coffee maker, please provide coffee filters. Very few travelers expect to provide their own filters; 2) A few condiments would be nice...salt, pepper, a few spices. One of the reasons we use VRBO properties is because we don't want to eat out all the time. And we don't want to have to travel with a suitcase full of spices; 3) It's a little thing, but maybe you could upgrade your choice of toilet paper? Other than that, we loved staying in your condo and will definately be back. This is our second time staying here for a total of three weeks. This week was spring break for a lot of students. The ones I met while walking my dogs were nice! My only issue was with the rental motor scooters, two and three wheeled. I don't think any of them have mufflers! I think I'll write a letter to the city! LOL! Hey I may write one too! For owners information: great location and beautiful furnishings. No housekeeping from prior guests, except clean linens. Also, washing machine is not usable and there were serious plumbing issues in master bath. You would not be happy if you saw how your unit was presented. I am surprised by this review. We received no calls, complaints, or feedback of this nature on this condo. The owners stayed in the unit immediately following your visit and also did not find these issues to be a problem. We have not found any plumbing issues or washing machine issues. The condo is cleaned between each guest. We address maintenance issues as they arise. I am wondering if you reviewed the wrong condo? We are happy to address any issues that a guest might have during their stay and did not have any complaints during this time frame. Clean, but most importantly, 50 steps to the beach. The property was surprisingly quiet considering how many people were coming and going. The condo was exceptionally clean and roomy and adequately met the description. The check in and out process was the best I’ve experienced. 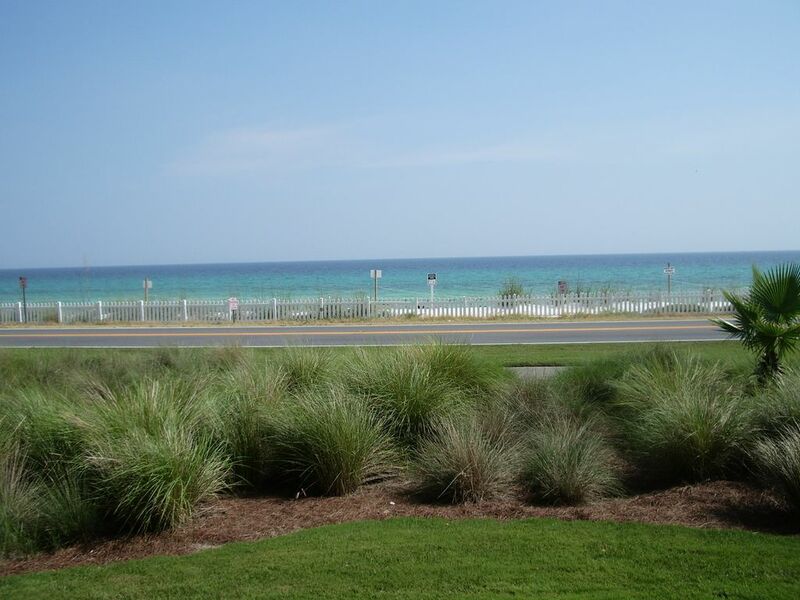 The location was excellent with an easy walk to the beach and within walking distance to many restaurants. Loved that it was pet friendly! Property was clean, well maintained, and as advertised. We had a wonderful beach vacation here! We would highly recommend this property.